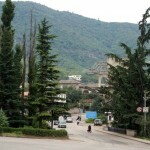 The village Oshakan is located 4 km south from Ashtarak, surrounded by vineyards and greenery of garnet gardens that occupy the whole territory between Ashtarak and Echmiatsin. Here is the burial place of the great illuminator of Armenia Mesrop Mashtots, the creator of writing of peoples speaking completely different languages – Armenians, Georgians and Caucasian Albanians. 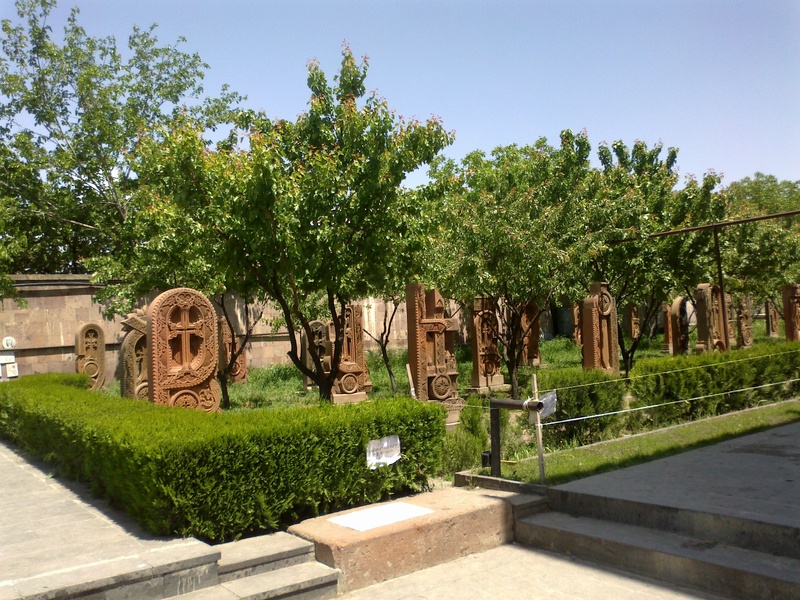 Over the grave of Mashtots which is located in the southeastern part of the village, a small chapel was built in 443 by the Prince Vahan Amatuni where in 1875-1879 the Catholicos Gevorg III built a church that stands to this day. It is a traditional nave basilica crowned with belfry over the altar apse, and reminds of the first centuries of Christianity in Armenia. The painting of the interior of the church was made in 1960 by the artist O. Minasyan. On the right side of the altar there is a crypt, where in the foundations of an ancient chapel, under a marble tomb relics of Mashtots are preserved. The lapidary inscription at the gravestone narrates the deeds of St. Mesrop who was canonized in the V century by the Armenian church. In the fence of the church, among others, the prince Vahan Amatuni was buried, his tombstone has been preserved and is located near the right wall of the basilica, from its outer side. Near the church of St. Mashtots there is another notable building. In 1914-1916, the tragedy of genocide in Western Armenia brought here a lot of orphans. They were placed in the building of the church school, where an orphanage was opened. This building has been preserved to the present day since the XIX century. 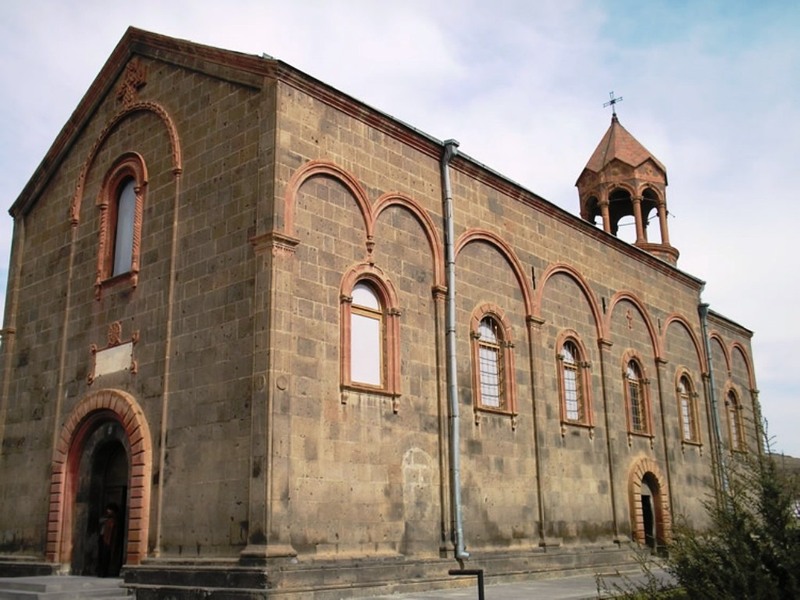 It is planned to open a memorial museum dedicated to Mesrop Mashtots. 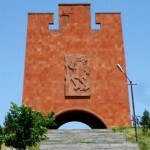 In Oshakan there is also a monument dedicated to the Armenian alphabet. It was placed according to the design of the architect J. Torosian in 1962. In addition, there are dolmens and cromlechs in the village (III millennium B.C. 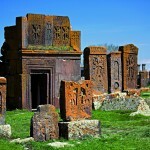 ), monuments belonging to Urartian times- a settlement, a fortress, a temple on the hill of Didikond. Near the village a monument was erected in memory of those who were killed in the battle of Oshakan-Russian and Armenian soldiers during the Russian-Persian war in 1827. It was made of red tufa in 1833-1834 years by the means of the local population.